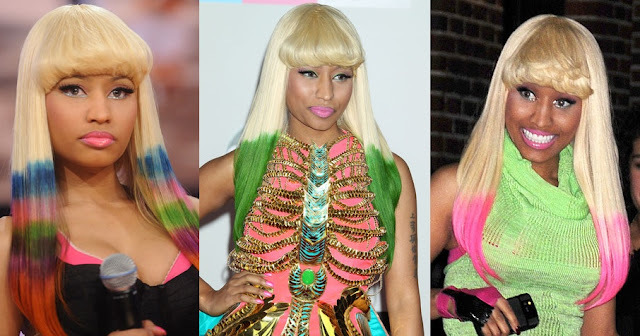 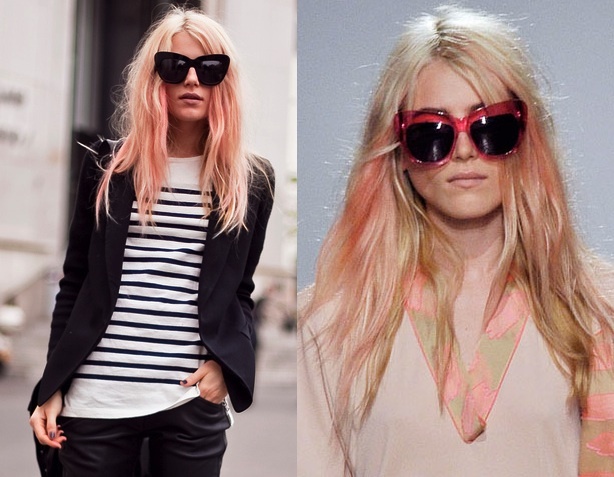 I am loving this trend of dip-dyeing hair. 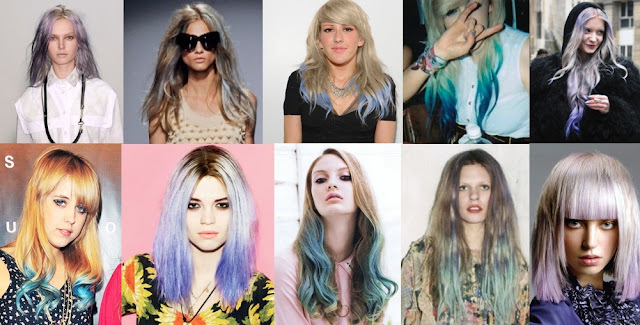 It recently got popular last summer, when Kate Bosworth dyed the ends of her hair blue, but now it's come back and is more popular than ever. 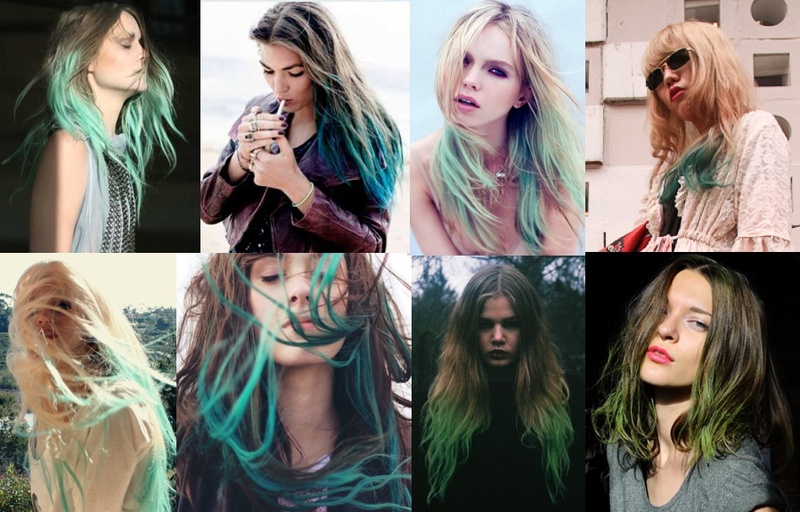 I have been working on this post for weeks, mostly because I wanted an excuse to keep checking out photos of dip dyed hair. I am planning this summer to try out this look - but I can't decide what color to do! 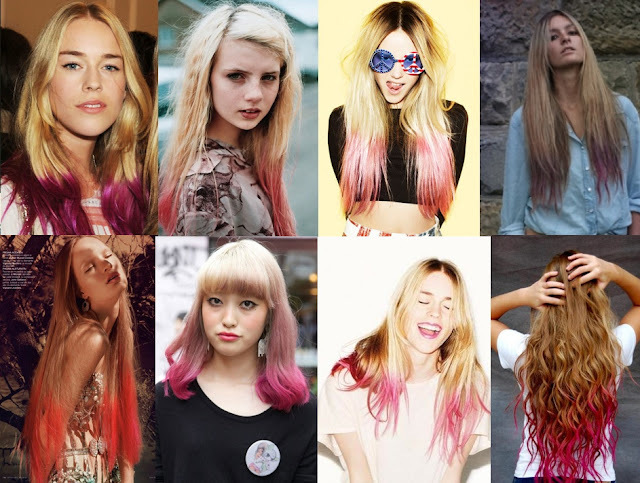 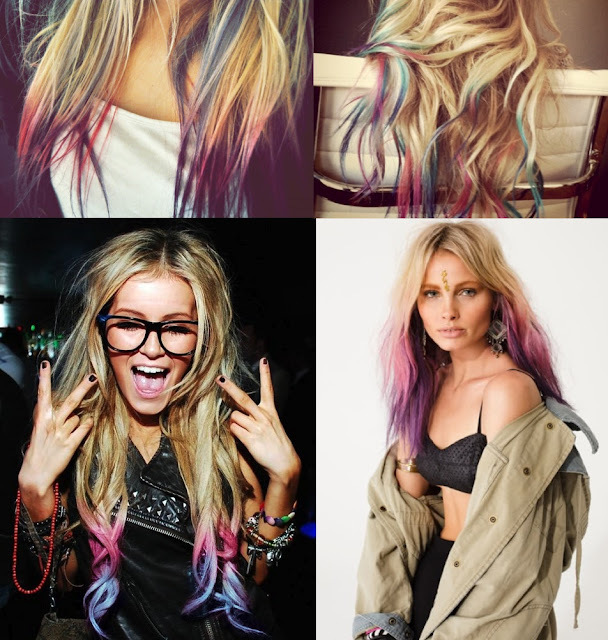 I have ordered a bright pink shade from Manic Panic, but I am tempted by all these choices! 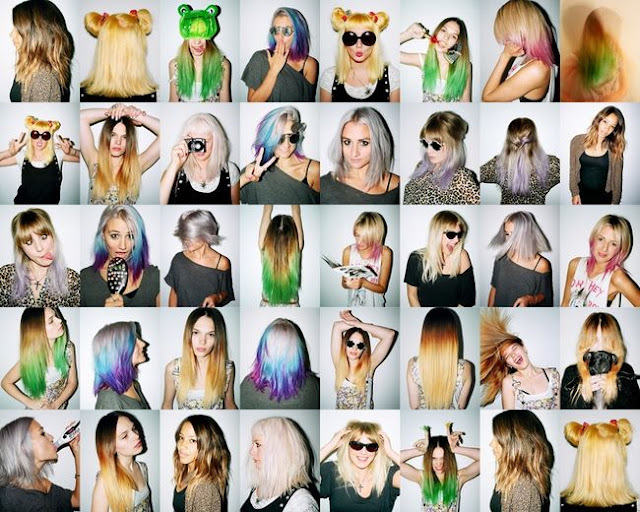 Maybe I'll pull a Lauren Conrad and do all of them at once. 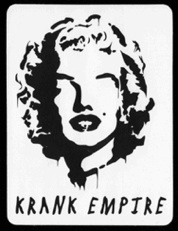 Wow - I am obsessed with all of the pictures you found! 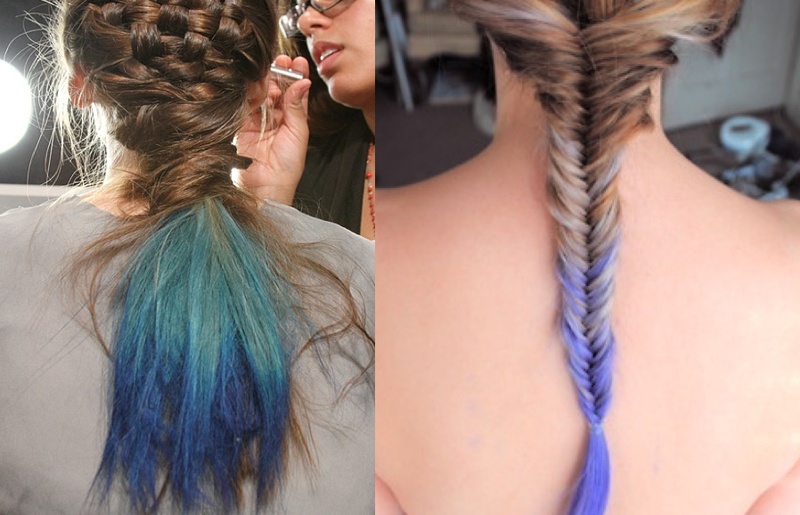 I wish I could do this to my hair, but half the day I'm a lawyer, so I'm not sure pink and purple tips would fly.